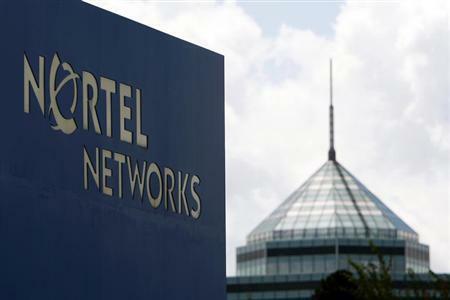 (Reuters) - Nortel Networks Inc., a defunct telecoms company, has reached a deal that will cut more than $3 billion from what was allegedly owed to former Nortel entities in Europe, marking what it called a "significant milestone" to ending its five-year bankruptcy. In return for withdrawing the claims, administrators of insolvent Nortel entities in Europe and a pension trustee in Britain would each receive high-priority administrative claims for $37.5 million, according to a court filing on Tuesday. "The settlement agreement represents a critical step forward by the parties to resolve the costly and contentious litigation amongst the Nortel affiliates," said the filing, in the U.S. Bankruptcy Court in Wilmington, Delaware. The parties also agreed to work together to try to resolve how to divide $7.5 billion in cash that was raised from liquidating the former Canadian telecommunications equipment maker, according to the documents. The deal ends lengthy and long-running court fights over which Nortel entity owed what to whom, stemming from the complexity of unscrambling a company once worth $250 billion with 93,000 employees worldwide. Thousands of bondholders, retirees and suppliers have been waiting to be repaid billions of dollars. The legal battles have been fought in numerous jurisdictions applying a variety of laws, making a resolution in court a challenge. Several rounds of mediation also failed. Tuesday's deal resolves a claim by a pension trustee that not enough money had been put aside for retirees in Britain. The trustee had been seeking more than $1 billion from two different bankrupt Nortel entities in North America. An administrator overseeing failed entities in Europe sought hundreds of millions of dollars on the theory that the U.S. business was a "shadow director," and therefore responsible for failed Nortel businesses outside North America. As a result of the agreement, three of the four largest claims against Nortel's U.S. estate will be withdrawn, reducing the stack of alleged unpaid bills by $5.14 billion. The largest claim, for $2.79 billion, was filed by bondholders and is not part of the agreement. Tuesday's agreement does not resolve the disposition of $7.5 billion in cash that piled up as Nortel liquidated its businesses, including a package of patents that set off a bidding war by world's biggest tech companies. Nortel's various entities around the globe agreed in 2009 to sell the businesses as quickly as possible rather than wait for an agreement over how to divide the money raised. That dispute is now set for an unusual trial next year. It will be overseen simultaneously by U.S. Bankruptcy Court Judge Kevin Gross in Wilmington, Delaware, and Ontario Superior Court Justice Geoffrey Morawetz. The two court rooms will be linked by video, which the two judges have done regularly during the five-year bankruptcy. A hearing to approve Tuesday's settlement is scheduled for January 7.